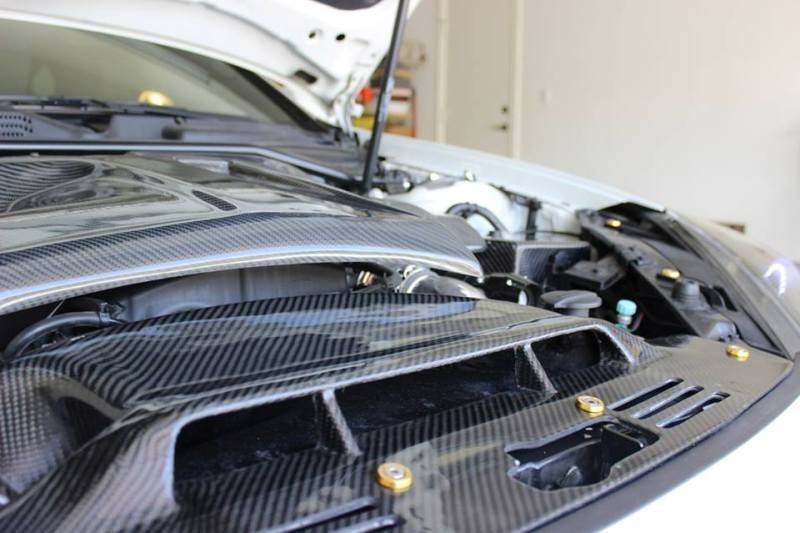 Full replacement carbon fiber air duct (aka snorkel) for all 2013+ Genesis Coupe 2.0L and 3.8L models. 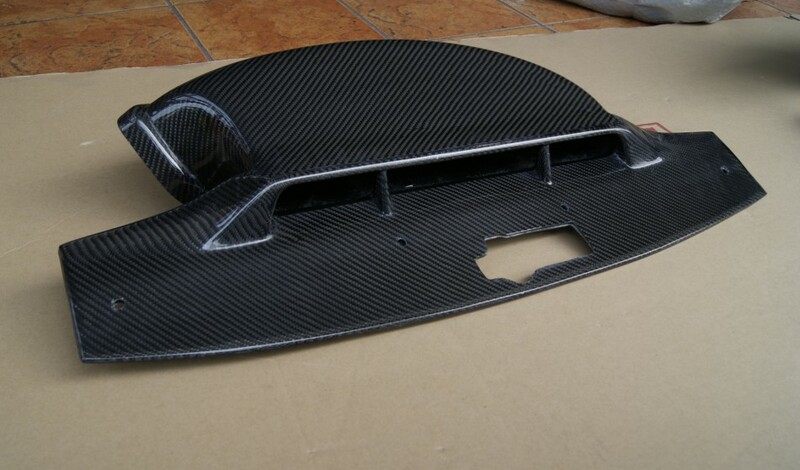 Excellent full carbon fiber product with clearcoated finish. 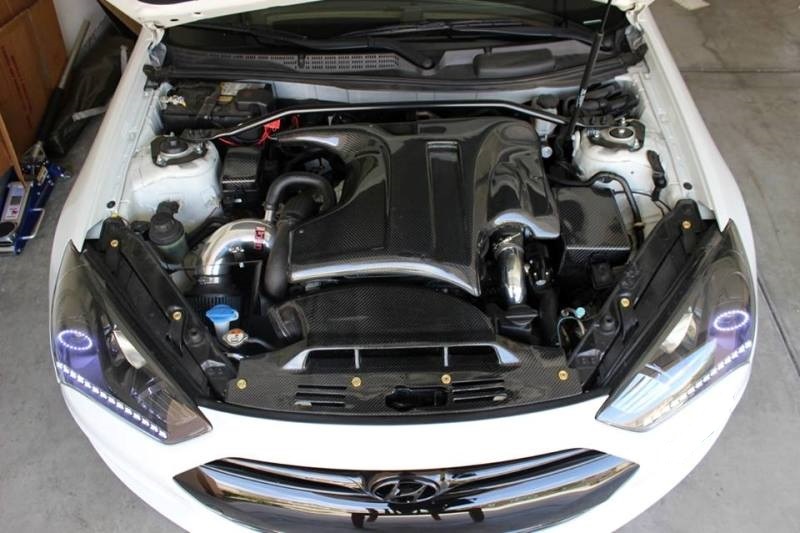 Works with all aftermarket cold air and short ram intakes. 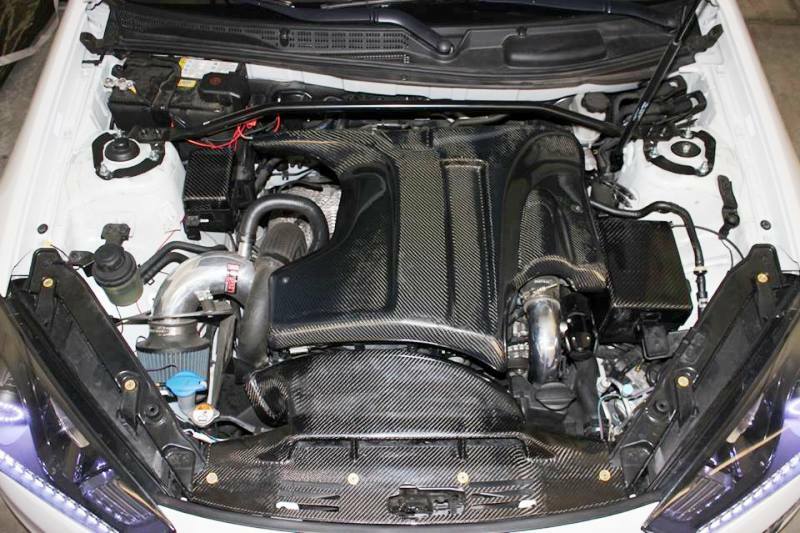 Please note that some of these pictures are of a pre-production unit that does not have holes/cutouts in the front shroud to allow air to pass through into the intake. The actual production version will have this addition.